HAVE QUESTIONS OR WANT TO ORDER ADVERTISING? All payments for advertising are due prior to creation, unless other arrangements are negotiated. We accept payment via the phone, and accept debit cards or major credit cards. If qualified and as a convenience, we also utilize the Bill Me Later option through Paypal. Transactions will show up on your statement as "Web Mrkt - Crystal " (a subsidiary of Permanent Cosmetics Directory and Permanent Makeup Trainers online). Advertisers (if paying in installments) must pay their subscription rate by the scheduled due date or Permanent Makeup Trainers reserves the right to delete advertising until payment is secured. 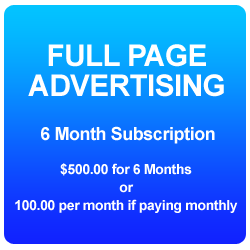 If your advertising is deleted and has to be reinstated once subscription has been paid, a reinstatement fee of $75 is added to the amount due. Once your advertising has been created, refunds are not offered. Have questions or would like to order your advertising package? Please contact us at (318)554-9794 or via email. Our normal business hours are Monday thru Friday 9:00AM to 6:00PM EST.